Maximum safety at minimum cost! This product is worth 3898 loyalty points. 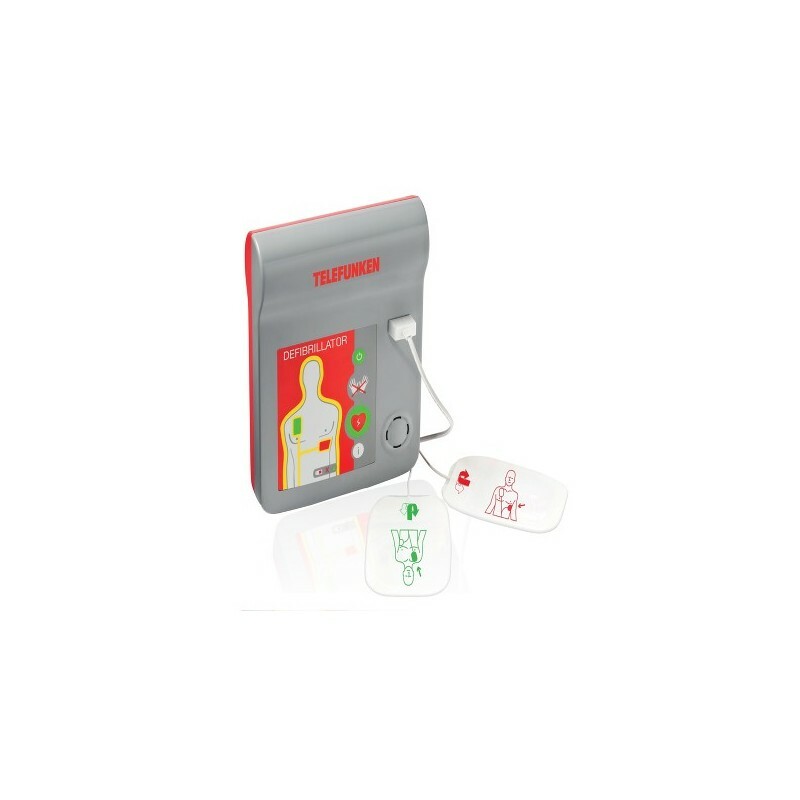 The Telefunken AED range is Distributed in Ireland by Westaid. 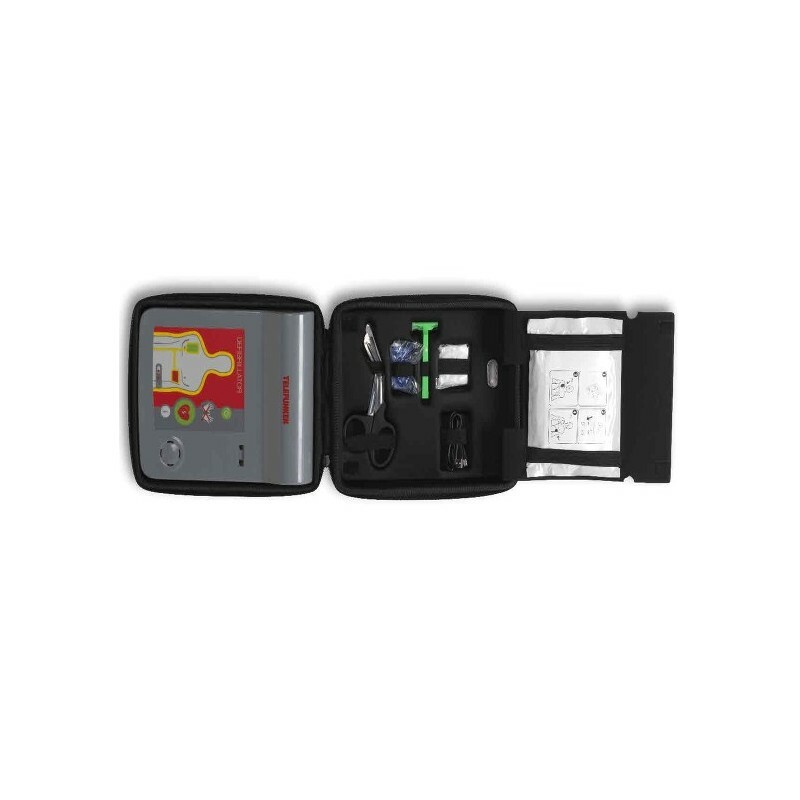 The DefiTeq AED* is a highly advanced and easy to operate AED. The DefiTeq AED is available as semi- and fully automatic at a price within everyone’s reach. In the European Union every day around 1500 people die because of a Sudden Cardiac Arrest (SCA). That is over half a million people yearly. Today only 10 to 20% of the victims of a cardiac arrest survive. In 2020 up to 40% of all deaths will be related to heart diseases. You can decrease the risk for the ones you care about. With an AED nearby, the chances of survival after a Cardiac Arrest increases up to 70%. 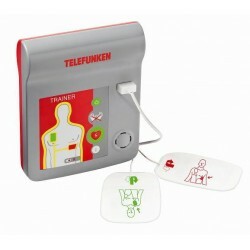 The Telefunken AED comes with a carrying bag, a sticker with logo AED and CPR kit included. Extremely reliable because of more than 10 years of development . All major and important approvals. Automatically daily and monthly self tests. Comes with 6 years warranty(excl. electrodes and battery cartridge). #Free replacement excludes HSE and Healthcare Services. #Full ECG trace must provided as proof of use. #Contact us for full details. The Telefunken AED is an automatic external defibrillator (AED) with an integrated single channel ECG. The defibrillator unit has been optimised to be safe and very quickly ready to use. The loading time for a defibrillation is approx. 12 seconds with a battery capacity of approx. 90 % of the rated value. Press this button to turn the device on and off. LED indictors show the status of the unit. It is safe to touch the patient when the action arrows around this icon are flashing. You may perform CPR or check the patient. The Telefunken will only administer a shock if it is needed. 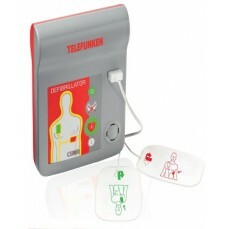 The self-test is triggered by switching on the Telefunken AED or by inserting the battery in the device. The Telefunken AED runs a device self-test to check all the important parameters and signal mechanisms. It runs daily and monthly self-checks. The unit has a 6 year shelf life from date of manufacture. The IP rating is 5:5. The Telefunken delivers a biphasic energy level fixed at 120 joules and the battery from new is good for no less than 200 shocks. €5 delivery charge anywhere in Ireland.